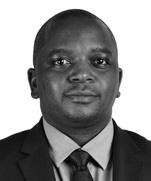 Ezra is a senior associate at Dentons Hamilton Harrison & Mathews. He is part of the Litigation team and is a member of the Banking and Finance, Employment, Environment and Planning, and Real Estate practice groups. He has acted for clients in accident claims, employment matters, defamation, malicious prosecution, debt recovery and claims under the Carriage by Air Act, environmental matters, contracts, constitutional law, and landlord and tenants disputes. He is also experienced in defamation, telecommunications, insurance, information technology, carriage by air, product liability, constitutional law and judicial review and administrative law.